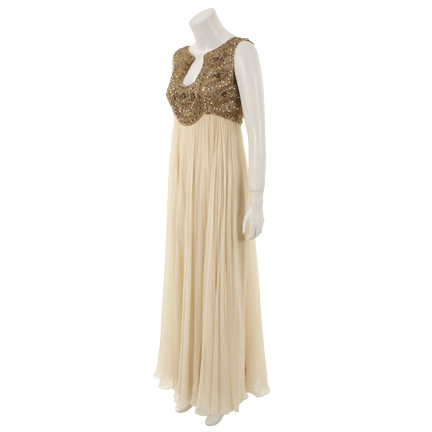 This costume was worn by the character Vivian, portrayed by actress Demi Moore in the 2006 Biopic film “Bobby”. 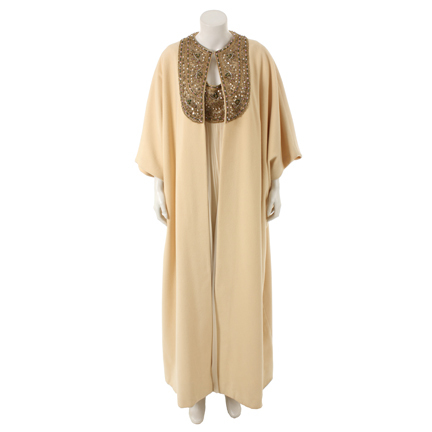 The two-piece ensemble is an original 1960’s cream cashmere wool cape and silk chiffon gown with faux pearl, gem, and sequined detail along the neckline of both garments. 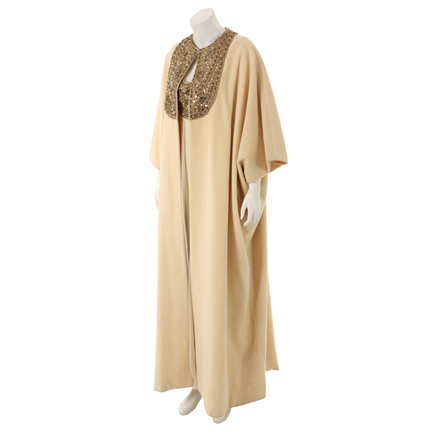 There is slight moth damage to the base of the cape and discoloration due to age. 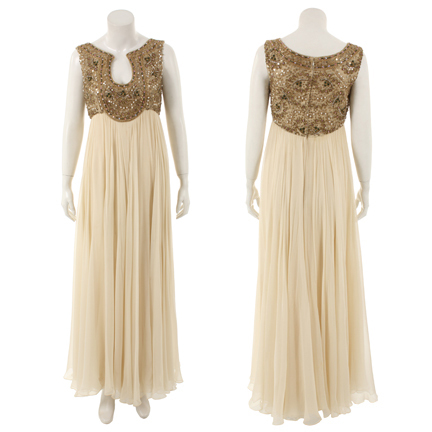 This dress can be seen in the end of the film where Robert F. Kennedy Aka Bobby, gives his acceptance speech for winning the 1968 election for U.S. Senator. 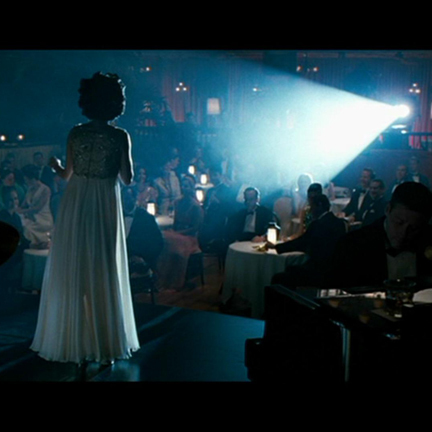 The dress is most prominently scene when Vivian is performing on stage during the final stages of the election. 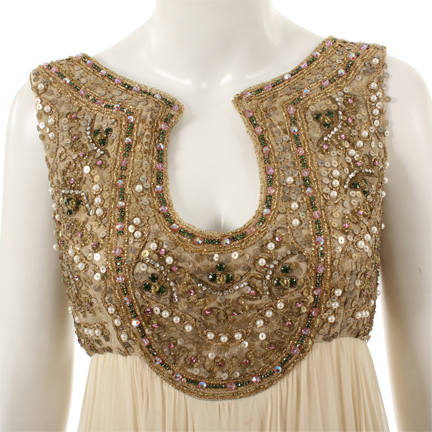 This garment is in good screen worn condition with minor evidence of wear from its use on the production and is accompanied by a letter of authenticity from costume house who provided the dress for the production.